Introducing The Sunday Swoon!! So much fun to team up with friends and work on a little project, right? Each week, I’m going to highlight a baby item that I’m obsessing over and link to a few of my blogging buddies that will do the same. There will also be a prize to win – so be on the look out for instructions on how to qualify below. My little man is walking… err… running these days and the only thing I’m thinking about is shoes. Caleb needs shoes and lots of them! My husband is a sucker for plaid and I wanted to find a pair that worked in the style. 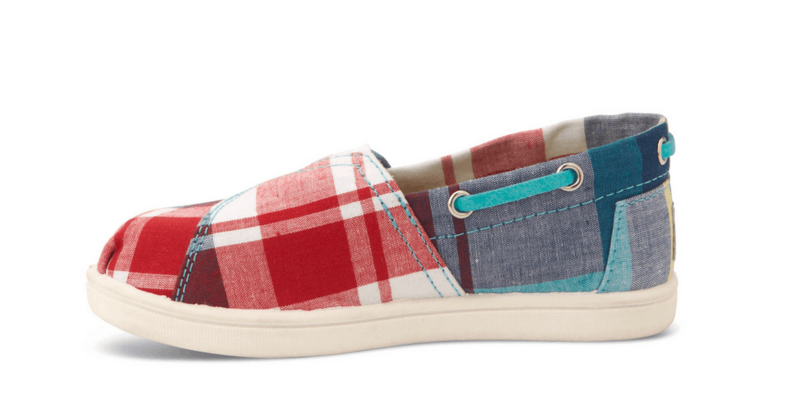 I came across the TOMS website and BOY did I find options. Honestly, my first draw was that they were adorable. Is that wrong? 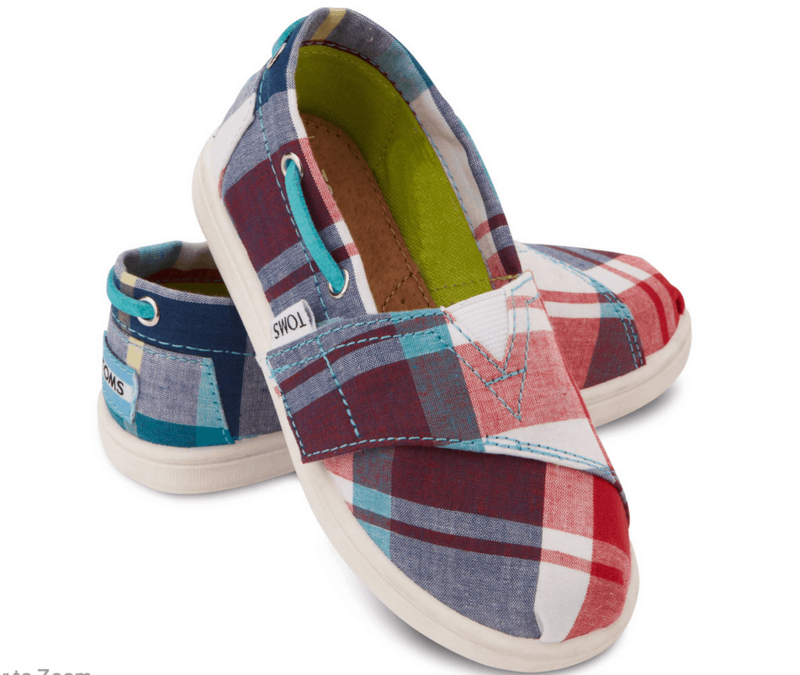 For more information about the Red Blue Madras Tiny TOMS, click here. Melissa from The Staten Island Parent is hosting this week’s contest. Simply head on over to her site to enter to win a Skip Hop’s Zoo Packs and Lunchies insulated lunch bag. So fun!! To check out all of the picks for the week, be sure to click on the below links.